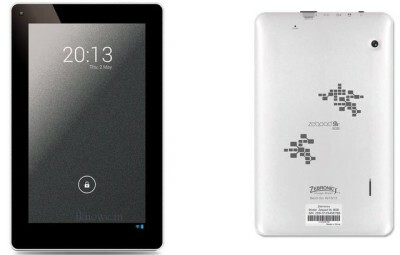 Zebronics India has launched three new tablets, Zebronic Zebpad 9C, 7C and the Zebpad 7t100. The good thing about this tablets is that they comes at affordable price. The Zebronic Zebpad 7c comes with 7inch capacitive touch screen display with WVGA resolution, Android 4.0.4 ICS and can be updated to jelly bean operating system. It has cortex A8 1GHZ processor paired with 512MB of RAM, Mali 400MP 3D GPU, G sensor, 3200-mAh battery and 8GB internal memory. It does support 3G via dongle, WiFi. Zebronics Zebpad 7chas 0.3 megapixel front facing camera and 2MP primary camera. The Zebronics Zebpad 9C has 9inch WVGA (800×480 pixels) capacitive touch screen display, gains power from 1.2GHZ Cortex A8 processor integrated with 512MB DDR3 RAM and runs on Android v4.0 ICS. It also packs with VGA front facing camera and 2MP rear camera. It houses 4000mAh battery and has 8GB ROM. It also features WiFi connectivity. It also comes with same specs. 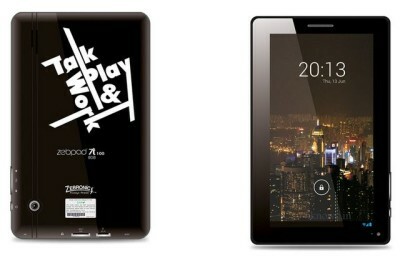 It has 7inch (800×480 pixels) display, runs on android 4.04, 3200mAh battery and has 1GHZ CPU paired with 512 MB of RAM. It also supports voice calling and has SIM card slot. It features WiFi and Bluetooth connectivity. Zebronics Zebpad 7c, Zebpad 9c and Zebpad 7T100 is priced for Rs 5,499, Rs 7,499, and Rs 7,777 respectively.